Original jazz-flavored contemporary Christian music and more define the playlist. August 24, 2010 (CHARLOTTE, NC) — The Marc Hoffman Quintet, lead by Virillion Music recording artist Marc Hoffman, will perform during the “Matthews Alive! Festival” in Stumpton Park, Matthews, NC, on Sunday, September 5, from 5:30-6:30 pm. The quintet’s playlist will include original jazz-flavored contemporary Christian music as well as audience favorites. Marc Hoffman’s various ensembles include duo, trio, and four- or five-piece bands. For the Matthews gig, his quintet will feature Grammy-nominated guitarist John Sharp, internationally renowned bassist Terry Peoples, Charlotte-based singer-songwriter and pianist Carrie Marshall, and Gray Fallin of the smooth jazz ensemble “The Brubakers” on drums. Sharp, Peoples and Fallin performed on Hoffman’s newly remixed and re-mastered jazz CD Curioso. Marshall, who recently completed her own new album Redemption, has performed with Hoffman in the past. “Carrie is an excellent pianist, vocalist and songwriter, and it’s a pleasure to have her join me again,” Hoffman said. 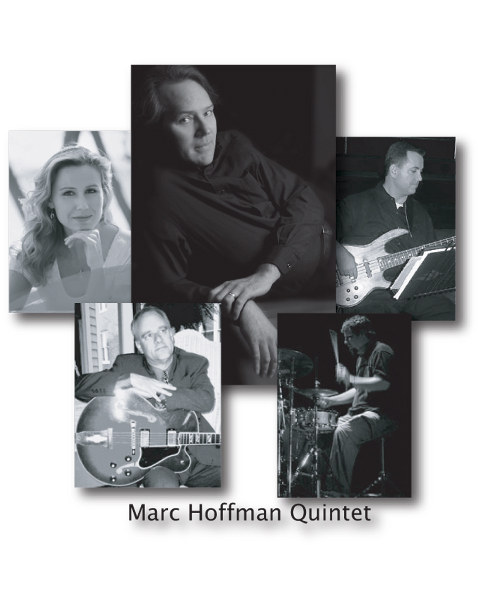 The Marc Hoffman Quintet will perform on the Goody’s Headache Powder Main Stage. Brandon Crumpton of Key Signature Entertainment secured the festival performance for the quintet. The Matthews Alive Festival, September 23-25, is a Labor Day weekend celebration dedicated to the support of local non-profit organizations through music, arts and community involvement. Over the past 18 years, the annual festival has contributed over $750,000 to the local community. The festival features an array of family activities, entertainment, arts and food. For more information, go to www.matthewsalive.org. For more information Marc Hoffman, visit www.marchoffman.com.